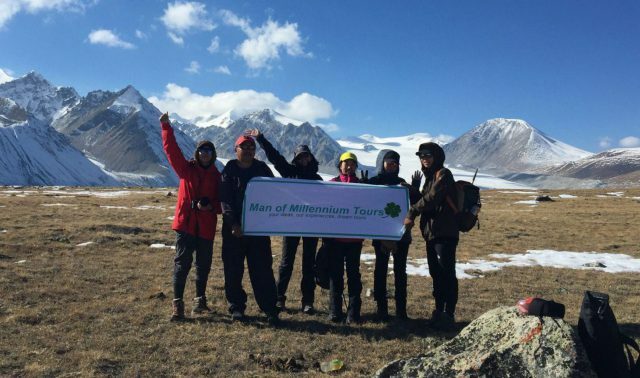 Thank you for visiting our website.Man of Millennium Mongolia tours is a Mongolian owned tour company and tour operator that specialize in private tours, tailor-made tours, small group active adventure, cultural and natural discovery tours by jeep, on horseback to every corner of Mongolia. Your memorable experience during your holidays touring with Man of Millennium Tours is our mission. Quality outstanding personalized service and tours at a affordable rates. We are very focused in increasing the quality of your experience and your expectation. Exceeding expectations through effective, resourceful, caring service while inspiring the highest level of trust. Superb value for money in our All included Packages, tours. Create and generate job for our local community people who love and have passion in this work with effort. Our travel advises based in our experience, integrity and expertise in that the success of your trip reflected and maintained. Safety First, our leader guides and drivers are integral to the safety for each trip. Team work, good communication and positive attitude. Man of Millennium Tours Mongolia is an environmentally and Socially friendly tour company, we focus on seriously taking care of and preserving our environment, keeping the trails clean and as undisturbed as possible to insure that future Mongolians and visitors from around the world will be able to appreciate the essence of these historic and unique landscapes of Mongolia. Thanks for visiting the Land of the blue sky Mongolia. We offer our customers the best service at the cheapest price. We extend customizing your tour to accommodate additional days to visit more sites along route. Your tour is absolutely tailor-made for you. We respond to email inquiries within 24 hours (or within one working day). We require a minimal amount as a deposit upon booking a tour with us.The balance payment should be made upon your arrival in Mongolia. We design your vacation trips based on your personal preference. Our guide solongo is so fun-loving and jovial and cooks very well too- I never expected such a wide variety of local and western/asian food from a tiny kitchen (or sometimes no kitchen available) in a ger. It was like travelling with a good friend and we definitely enjoyed her company and her stories.. The tour will not be the same without her! Our driver batbatoor made sure our car ride was smooth and with good tunes. He made plenty of nice stops along the way so we could visit the nomadic ger families, do some phototaking or to pee ;p And the good thing is that they provide good modern cars for the trip (not the old soviet vans which seem cool-looking but actually not comfy at all for long distance journeys). Honestly, everyday was a blast and even the ger accommodation were beyond my expectations. My personal highlights of the trip were yol valley, khongor sand dunes and ongi area. “Great local tour company in Mongolia !!! Amazing experience !!! Our family travelled with Man of Millennium Tours in Aug'18 on a private 10-day Gobi and Central Mongolia custom tour and we were very happy to have used their services while visiting this amazing country. We had an amazing experience thanks to Man of Millennium Tours. Ms. Uunaa, the owner, was very professional, responsive, and met all of our needs without any hesitation. Throughout the trip she would call our guide to make sure everything was ok with us. Ms. Sana, our guide, was very professional, knowledgeable, friendly, and excited to show us around - she speaks perfect English and cooks delicious meals. Mr. Suma, our driver, was very professional, courteous, and knows all dirty roads in Mongolia, specially in the Gobi desert where multiple drivers called him either asking for directions or to follow him. He kept the car always clean and was always willing to stop for pictures. When traveling in Mongolia, having an expert driver is a must. The booking process was very simple. Ms. Uunaa responded to my trip inquiry right way despite the 12 hours time difference to the U.S.. She suggested some itinerary changes to my initial proposal and did everything to accommodate our requests. Since they are a local tour operator and there is no middle man, the cost of the tour was much better than some other tour operators we had researched, specially the ones in the U.S. which were way more expensive despite offering similar tours and accommodations. I went on the 18 day Classic Mongolia tour in July. There was a lot of information on the website including up front pricing that we didn't see on any other sites when we were researching. The Man of Millennium prices were very good, as we were on a budget this was a big factor for us. We didn't see better prices from the other companies we contacted. We met with Uuna in Ulaanbaatar to talk about the details of the tour. As she worked as a tour guide before starting her own company, she answered all of our questions and also had advice on what to bring and what to expect. This previous guiding experience is really valuable as she really understands what makes a good tour and this shows in her organisation. We had seen on the website that there were a couple of other people booked onto the same tour that we were interested in and as the dates worked for us she arranged for us to join their group. Wow. We booked this with Uuna very last minute and she did amazingly to organise everything in such a short period of time, especially when it's just come out of winter and accommodation and people are difficult to find in the low-tourist season! This was a 6 day tour through the Terelj National Park, Semi-Gobi, the Orkhon Waterfall, Hot Springs and the historical city of Karakorum. Every day was fantastic. We had the most fantastic tour guide in Herlen and the driver Sama was also incredible. Not only did we visit some of the most beautiful places we have seen, we also had an incredible time being looked after with three meals a day (three!!) which were made by Herlen, as well as staying in family's gers in some beautiful locations. Herlen, Sama and the people we stayed with provided amazing company. You meet with a lot of local families and nomads and share tea and a lotttt of mutton with them. The people of Mongolia are incredibly friendly and hospitable. I couldn't recommend this tour company enough. Uuna even put us up in her apartment with her beautiful family the night before the tour. She goes to the next level to make sure you will, do and have enjoyed your tour with Man of Millenium.